CEBA provides a wide range of educational opportunities throughout the year. These events can be a great way to see if beekeeping is right for you or to expand your knowledge if you are already a beekeeper. CEBA hosts monthly Monday night meetings that feature guest or local speakers. 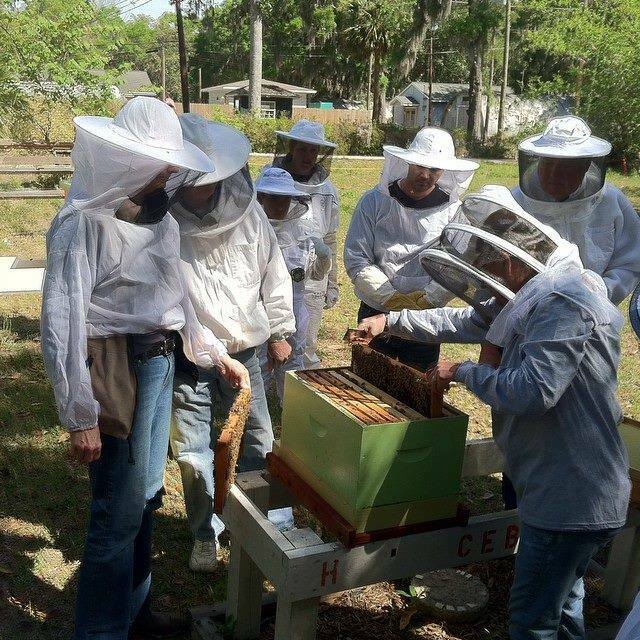 We also offer "second Saturday of the month" hands-on workshops in the CEBA apiary located within the Oatland Island Wildlife Center. We inspect hives, document our findings and decide the next course of action to help our colonies thrive. Visitors are always welcome. Veils will be provided for apiary work. Participants in this annual February event learn the basics of beekeeping. Topics range from "getting started" to "managing your bees in an urban environment. This workshop is a great way to see if beekeeping is right for you and to expand your knowledge if you are already a beekeeper. Using the CEBA apiary and equipment, members can learn how to harvest, filter, bottle, label and sell honey. When available, honey from the CEBA apiary is for sale in the Oatland Island Wildlife Center front lobby. CEBA members compete for awards in a competition based on Welsh Honey Show rules. Honey is judged on many factors, including presentation, cleanliness, clarity, aroma, viscosity and taste. The Black Jar category, which judges honey only based on taste, is perfect for new beekeepers. Certified Beekeeper: Individual should be familiar with the basic skills and knowledge necessary for the beginning hobby beekeeper. Journeyman Beekeeper: Individual should be functioning as a competent hobby beekeeper with the skills and knowledge for moving into sideline beekeeping. Master Beekeeper: Individual should be able to function as a sideline or commercial beekeeper. Can also demonstrate knowledge in such areas as bee botany, business aspects of beekeeping, honey and bee-related judging, bee behavior and other specialty areas. Master Craftsman Beekeeper: Individual should have general knowledge of all relevant areas of beekeeping as well as be a specialist in one or more selected topics. Level is comparable to a graduate program in apiculture at a major U.S. university. CEBA can provide guest speakers to talk about beekeeping to audiences of all sizes and ages, including science teachers, school classes, Scout troops and gardening clubs. 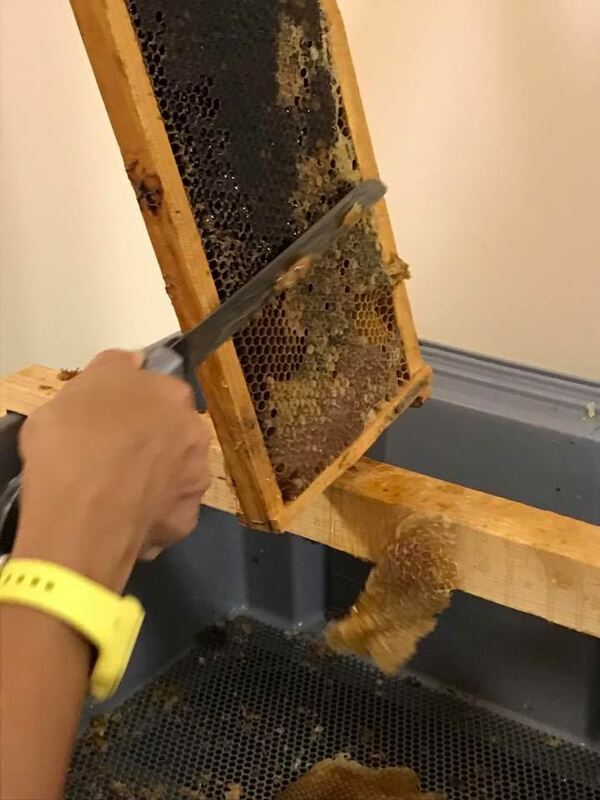 During Oatland Island Wildlife Center and other local special events, we give visitors an up-close opportunity to see bees at work using an observation hive. Check Events for the next one. For more information about educational opportunities, email CEBA.